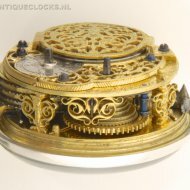 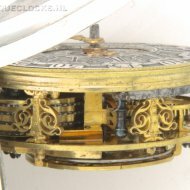 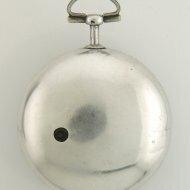 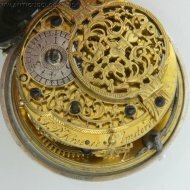 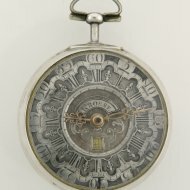 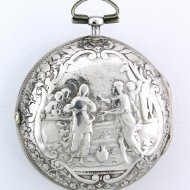 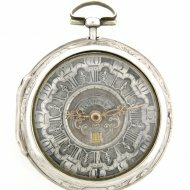 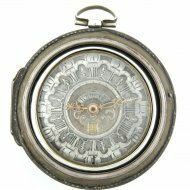 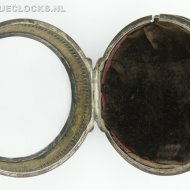 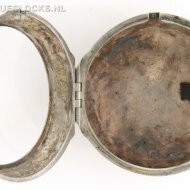 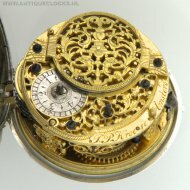 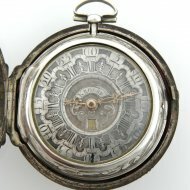 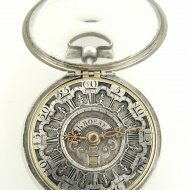 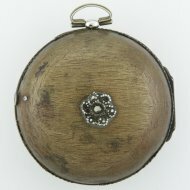 SOLD Verge pocket watch with date by J.P. Kroese, Amsterdam. 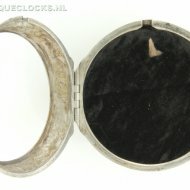 Outer 3rd case made of silver and brass, originale leather covered, now only the silver nails with some leather. 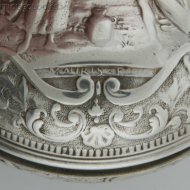 2nd case of casted silver, signed: Mauris Fecit. 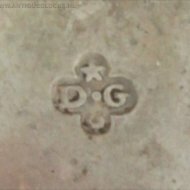 1st case of silver with silversmith hallmark D.G.